Soon after the birth of Jesus, Joseph had fled with his family to Egypt, where there was a large Jewish community, and safety. 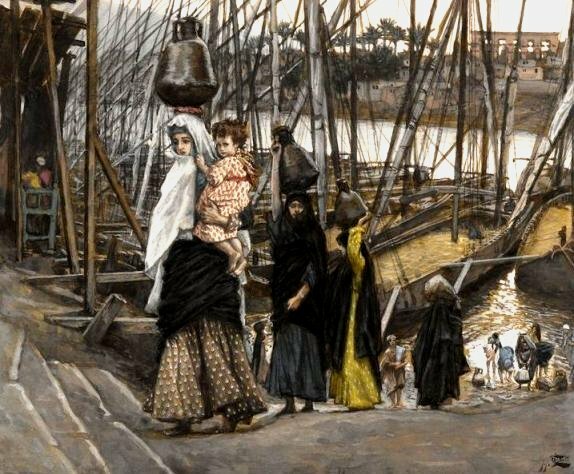 But after the death of Herod Joseph had a dream/impulse/vision that convinced him that he and his little family should return to where they had come from, Nazareth in Galilee. At that moment Nazareth was a safer place to be than Judea, which was experiencing upheavals under the rule of King Herod the Great’s oldest surviving son Archelaus, now the ethnarch (political leader of a distinct ethnic group) of Judea. King Herod had died, and the current ruler of Galilee was his younger son Herod Antipas (Herod is a family name, a surname). Antipas was what might kindly be called a hands-off ruler, inclined to do nothing rather than make any sort of decision. This laziness/caution had served him well during the last years of his father’s life, when King Herod had executed many members of his own family, including Antipas’ two older brothers. Antipas, apparently too lazy to care about power, kept his head down and survived. So Joseph decided the safest thing to do was return to his native Nazareth, where he could live quietly, work hard, and raise a family. Nazareth was not entirely cut off from the world. 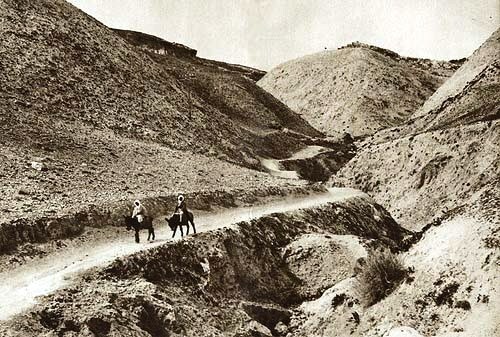 It was about seven miles southeast of Sepphoris, the capital of western Galilee. There Jesus grew into manhood. 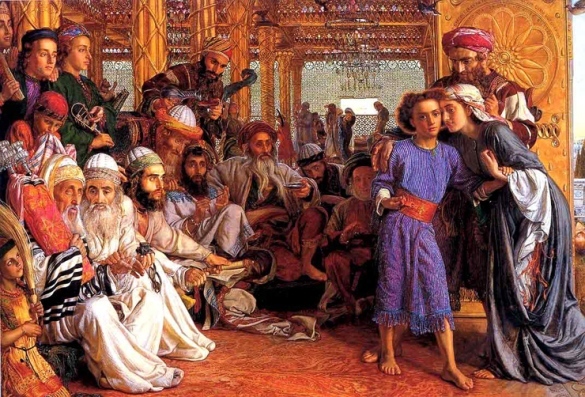 The only story of these ‘hidden years’ in the gospels is that told by Luke (1:41 51), according to which Jesus went with his parents to Jerusalem when he was twelve years old. 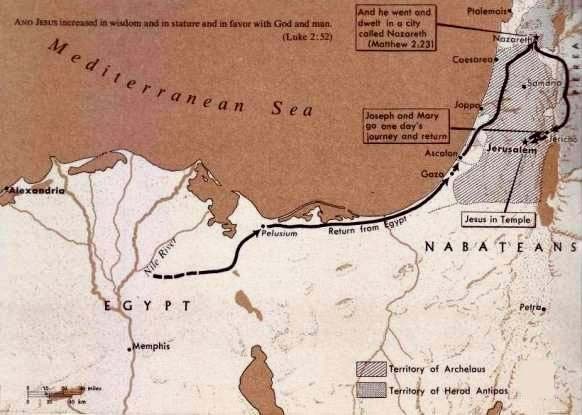 Jesus stayed behind in Jerusalem when his parents went a day’s journey on their way back to Nazareth (presumably down to Jericho so as to return by way of Jewish Perea rather than through despised Samaria). Missing the boy, they returned to the Holy City and there found him debating with the teachers in the Temple. They then returned with him to Nazareth.